Truly a masterpiece. A model where upholstery work shows the years of experience providing timeless luxury. 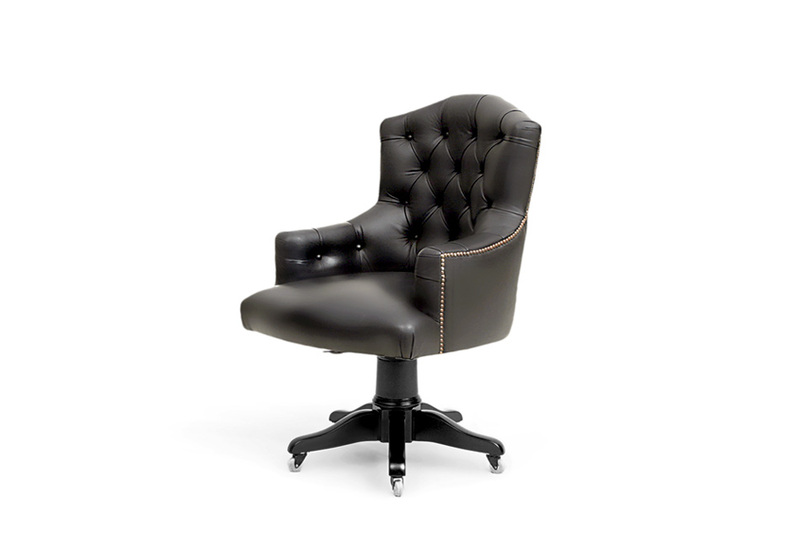 Upholstery of the armchair in the black Leather; swivel base lacquer in black with satin varnish. Solid wood frame, fully upholstered. Foam in 100% PU with BS standard fire specifications or Fire retardant interlining is available upon request. Available in all Larforma fabrics and leathers; available in C.O.M. Available in Mahogany, Beechwood stains or lacquer in all RAL colours.